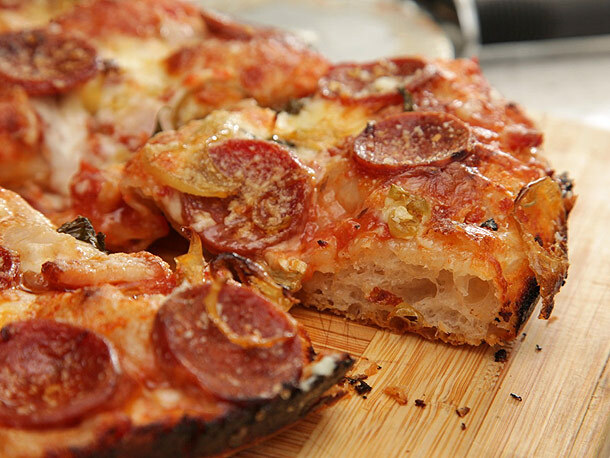 Use your favorite no-knead pizza dough recipe, like this one. This should be obvious, it is called “pan pizza” for a reason. 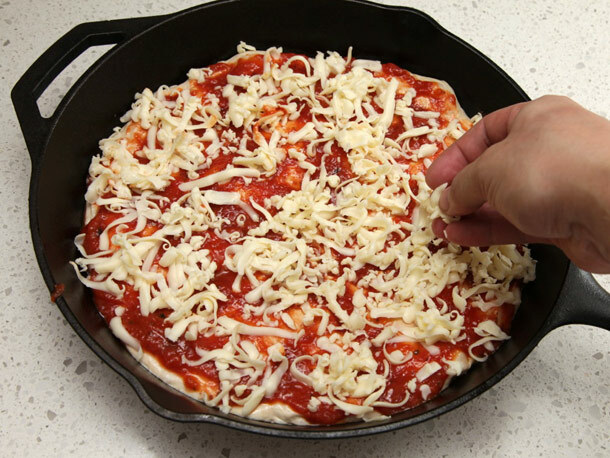 Cook your pizza in a pan, … with sides. The pan should also be the right size, or more accurately use enough dough to cover the bottom of the pan. 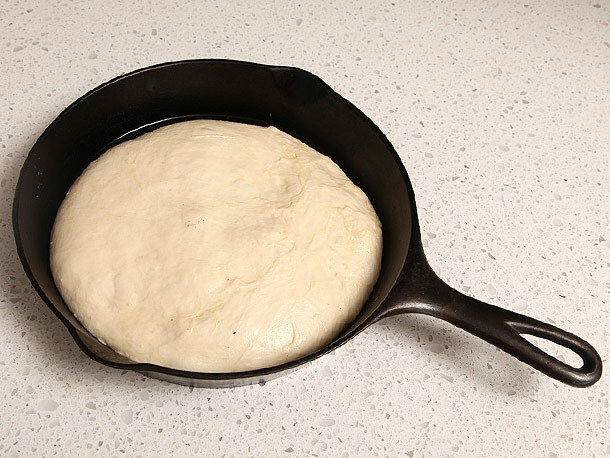 The dough must touch the sides of the pan or you will not get the crispy edges you want from a pan pizza. You should rise the dough in the pan and use plenty of oils or grease. The extra lubrication allows the dough to spread evenly in the pan. 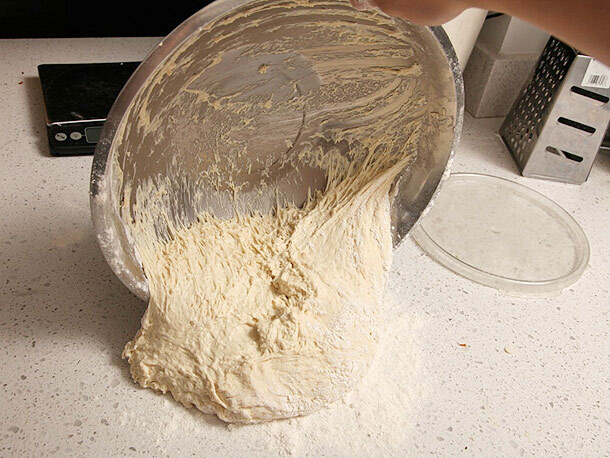 When done correctly you will not even need to stretch the dough to fit. Finally before topping the pizza gently dock the dough with your fingers, and release ant obvious large bubbles from within AND UNDER the dough. 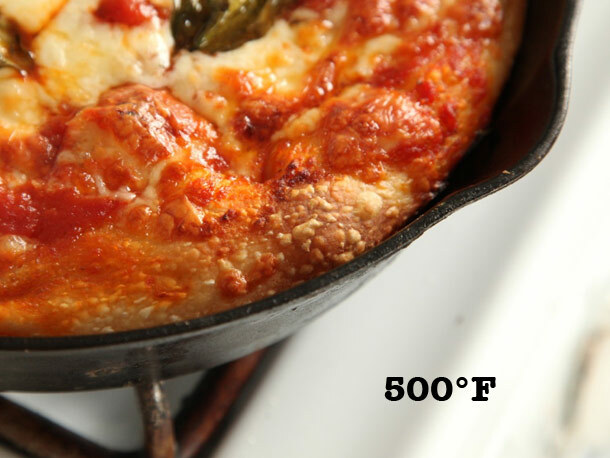 Cooking at high temperature (500-525 degrees) allows the crust to rapidly develop bubbles, creating better internal structure and texture. This also makes docking the dough all the more important. Anything you want. But top the pizza all the way to the edges! You want some of the toppings (cheese especially) to contact the pan sides to get nice and crispy. Read the full article, there are many additional tips and explanations.